Congratulations to StarFire EMS instructor Becky Valentine and the Wellesley College Winter 2019 Class on your 100% certification results!! Strong work, all!! StarFire EMS and Haverhill High School continue to partner to bring the initial EMT education program to their high scool seniors and students who will be 18 years of age by 1 May each year. Class will meet at the High School during periods C and D every day. Please see Ms. Kelley or your guidance counselor if you are interested. We look forward to a great year and to an on-going relationship with the High School. Special thanks to Beth Kitsos, Principal, and Victoria Kelley, Career Technical Education Program Coordinator for their hard work getting this program off the ground! Jane E. MacArthur, MS, NREMT, I/C, Executive Director, along with other community leaders, has been invited to serve on the Haverhill High School Healthcare Occupations Program Advisory Board. The Health Occupations program will include education for Haverhill High School students in a variety of healthcare careers including healthcare assisting, nurse assistant, and emergency medical techhician. Jane E. MacArthur, MS, NREMT, I/C, Executive Director, along with other national EMS leaders, has been invited to serve on the Board of Directors of Seriah LLC. This agency developed and offers the brand new Emotional Trauma Life Support(c) course. The course is for emergency medical responders and focuses on dealing with EMS providers/police/fire department members suffering grief response, stress response, PTSD, etc. This year StarFire EMS recognizes 10 years have passed since Michael J. Latta, StarFire EMS student and staff member and EMT with Patriot Ambulance Service, suffered a line-of-duty death. Michael is as missed today as he was the day of his passing. 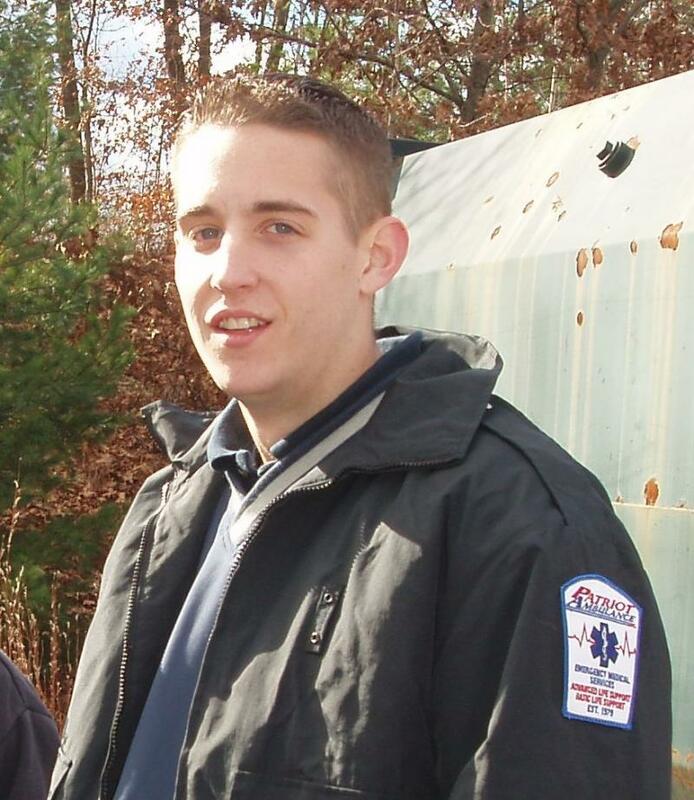 In those 10 years, Massachusetts Office of Emergency Medical Services recognized Michael's plan to continue his education toward paramedic certification by presenting a posthumous paramedic certificate in his name to his parents during EMS Week in 2007. The City of Lawrence named Michael the EMT of the Year, also in 2007. Later, the City of Lawrence renamed their EMT of the Year Award; it is now the Michael J. Latta EMT of the Year Award. Michael's family has started an EMS Scholarship in Michael's memory. It is awarded annually to a deserving EMT seeking to further his/her education in paramedicine. Application information can be found at emsscholarship.com. This year's application deadline is 1 June 2017. Kristen Dutile completed her Basic EMT Course with StarFire EMS in 2005 at Northern Essex Community College, Haverhill Campus. In April 2011, Ms. Dutile was named a Michael J. Latta EMS Foundation Scholar. She completed her paramedic education at ProEMS Center for Medics in June 2012. Congratulations Kristen - our newest paramedic! Strong work! We're proud of you! A StarFire EMS proposal submitted early in July 2012 was accepted. Students in the Cadet EMT Course include 16 - 18 year old students from the Bromfield School as well as community adults seeking certification as EMTs. The course is held Sunday afternoons and Wednesday evenings at the Harvard Ambulance Squad headquarters located at 40 Ayer Road in Harvard, MA (next to the Police Station). StarFire EMS will be opening its newest classrooms in Winchester, MA, in September 2012! OEMS Training Coordinator Russ Johansen has inspected our assigned class- rooms at Winchester High School and approved them for our use! He then inspected classrooms at the Winchester Recreation Department (where Saturday sessions will be held) and approved those as well. Classes will meet Monday and Wednesday evenings beginning 5 September 2012 and ending 19 December 2012. Jeff Francis, paramedic with Armstrong Ambulance will be lead instructor. Edward Hennegan, EMT instructor, is an EMS/Hospital Preparedness Planner with the Mass. Dept. Public Health will co-instruct. ﻿Cathy Kelley, EMT, Winchester Fire Department retiree and EMT instructor candidate, will assist. StarFire EMS has renewed its contract with the Valley works Career Center located in Lawrence, MA. If you are planning to register for the Basic EMT Course through Valley Works Career Center, please﻿ complete the StarFire EMS Registration Form here and indicate "Valley Works" in the comments section.﻿ Call StarFire EMS at (978) 912-7203. StarFire EMS will talk with your counselor and help you complete the proper paperwork. We will then bill Valley Works for your tuition and associated course costs according to the terms of our contract with them. Held at the Whittier Rehabilitation Hospital in Bradford, MA in memory of Mike Latta. Mike was an EMT who had been both a StarFire EMS Basic EMT student and a StarFire EMS skill lab instructor at the time of his line-of-duty death while working for Patriot Ambulance Service. His energy, enthusiasm, and dedication to family/friends/patients are sorely missed! 49 pints of blood were donated in 2011. This year's donation total will be announced soon! After five years, StarFire EMS has moved from the Smiley School! We have loved teaching at the Smiley School - the architecture, the style, the neighborhood! Thank you for welcoming us - we will miss you all. On Friday, 30 March 2012, we packed up our first truck load of equipment, furniture, files, etc. and moved it to the Haverhill High School, Room 108 and 117. A couple more truck loads and we should be fully moved! Facilities and custodial staff at the High School met us with warm greetings. We met several High School staff members who also welcomed us warmly. We look forward to teaching at the High School. Our summer Basic EMT class begins 29 May and ends 16 August, meeting Monday, Tues- day, and Thursday evenings and several Saturdays. 21 March 2012 - StarFire EMS met with officials from the Haverhill Public Schools and the Office of Emergency Medical Services from the Commonwealth of Massachu-setts. After a brief review of the available space and discussion of issues, the Commonwealth representative approved use of the space at the Haverhill High School that has been assigned to StarFire EMS for emergency medical technician training. 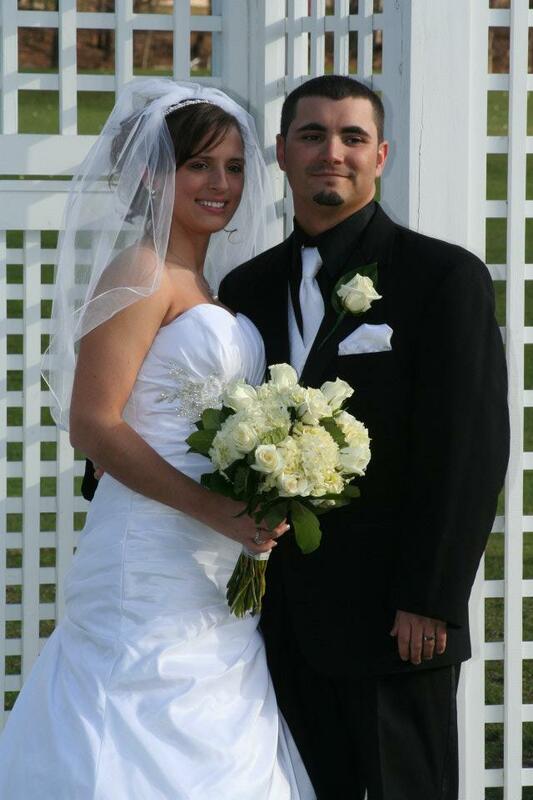 Congratulations to StarFire EMS program staff member Christopher Wood and his new bride Sarah! Best wishes to you both for many years of happiness together! The Michael J. Latta EMS Scholarship Lights & Sirens EMS Ball will be held again this year on Saturday, 28 April 2012. Last year, more than $35,000 was raised for the scholarship fund. Let's try to beat that goal this year. Monies raised go toward funding educational scholarships for certified EMTs who are seeking to continue their education as paramedics. This year's application deadline is 16 March 2012.